Here's the haps from our friends over at Lil Buds. They're an award winning theatre troupe with sweet summer camps and classes for kids ages 3-18. Du-Jay and Sagezilla took after school classes with them for the past two years and loved it. Happy Spring, families and friends! We here at Li'l Buds are starting rehearsals for our Spring production of Peter Pan and preparing for our upcoming Theatre Summer Camp 2012! Some sessions are almost completely full, so please make sure your register your child soon to guarantee them a spot in our fun-filled, creative programming! We always encourage returning campers and older students to try out for our elite Summer Ensemble, and this year we are doing TWO camp sessions! A 2-week PLAY (Robin Goodfellow) and a 3-week MUSICAL (Grease). There is a required audition for this camp happening this Saturday, April 21st from 2-4pm here at our Studio- so email us for a time slot! And join on us Saturdays for some great workshops! 11-12pm is our Creative Dramatics class for 3-6 yr olds and 12:30-2pm is our Theatre Games class for 7-12yr olds. Have even younger Li'l Buds? Join us for our family Storytime every Tuesday at 10am! Hope to see you all soon! Announcing our 2012 Theatre Summer Camp season! Seussical, Charlotte’s Web, Robin Goodfellow and Grease! Theatre is a collaborative art. 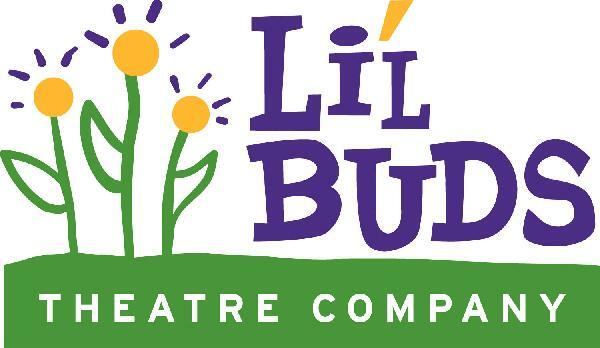 With that in mind, the mission of the Li’l Buds Theatre Summer Camp is to instill the importance of collaboration and imagination. We strive to build team work, self confidence, and a sense of accomplishment in each child. Through music, movement, playwriting and performance, we intend to help your child blossom into an enlightened theatre artist. We offer a variety of different programs for all ages and skill levels from 3 years old to teen programming. Check out the tabs on the left for information on the session your are interested or click below! Throughout the camp week, we will focus on different aspects of theatre including movement, vocal production, playwriting, scene study, improvisation, theatre education/terminology, as well as set, prop and costume design/construction. In classes, children will learn and master these skills, and will develop their own play to be performed at the end of camp each week. The plays they create will strive to reflect different aspects of life, relevant to themselves and their peers. Each week, on the very first day of camp, the students will select a theme that they will use to help inspire their play. Some of the themes will include: friendship, family, fears/dreams and personal stories, as well as stories inspired by art/artists, literature, sound/noises, environment, and movement/physicality. Then, each game or activity we work on that week will be geared towards the student selected theme, culminating with scripting, rehearsing and performing their original works. Family invited performances – Friday, August 10th at 1pm. Spend quality time with your child while being entertained by a great book! Here at Li'l Buds Studio Space 1210 W. Bryn Mawr Chicago, IL 60660 Who's reading & teaching? - Jeff Predmore and Maggie Portman. A great time for children to have a blast expressing themselves creatively, using their imagination, and learning to work with others. Sign up now to spend your Saturday with us! A basic introduction to the dramatic arts, concentrating on imagination and collaborative work. We will be using children's literature as a basis for dramatic creations. Through acting games and exercises, students will hone basic acting and theatre skills such as vocal production and character creation, and will master the art of creative collaboration. Slots are FILLING UP FAST for our various Theatre Summer Camp Sessions. Make sure you register soon to guarantee a spot for your child in our fun-filled programming! We offer a variety of programming for children of all ages and experience levels! Returning campers and older students are encouraged to audition for our elite Summer Ensemble. We will be doing 2 different sessions this year, a play and a musical. Students need to prepare a short memorized monologue for the PLAY session, and both a monologue and a song (to be sung acapella) for the MUSICAL session. We also take students who are interested on working on CREW - set, costumes, props etc. For that, we will just have a short interview with them. Email us today to sign up for an audition/interview slot. CLICK HERE for information and how to register!